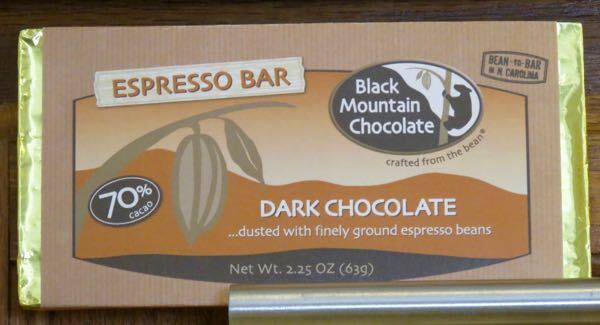 Today's 70% Cacao Espresso Bar came from Black Mountain Chocolate (Winston-Salem, NC), a family owned business that has been offering bean-to-bar chocolate since 2007. The company began operations near Asheville, NC. Later their "Visible Factory + Kitchen" moved to their present day location in Winston-Salem, NC. 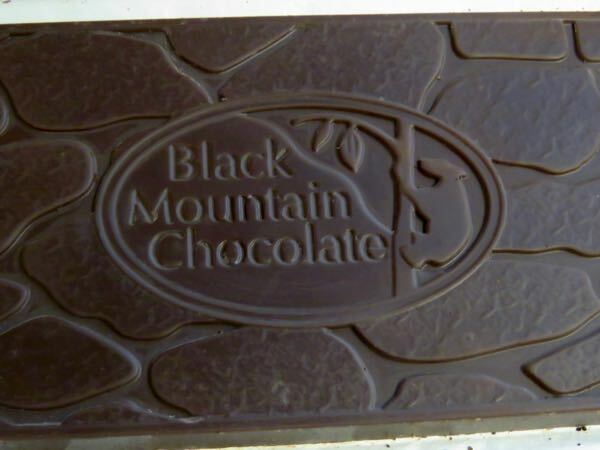 This 70% cacao dark chocolate bar was "dusted with finely ground espresso beans" from Dynamite Roasting Company (Black Mountain, NC). 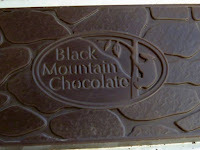 In fairness to Brent Peters and team at Black Mountain, by the time I ate this bar (today) it was past its expiration date. However, it was still very good. The chocolate had rich, smooth dark chocolate aroma and flavor with dried fruit (raisins) and freshly ground coffee notes. 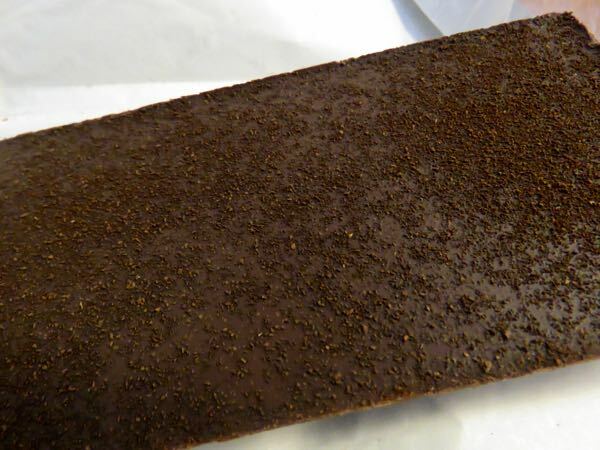 The dusting of finely ground coffee gave it additional dark depth, without smothering the fruit notes that still shone through.